This article is for someone who is thinking of leaving an abusive relationship or wants to support a woman who is, or for someone who wants to be more knowledgeable about domestic violence shelters. 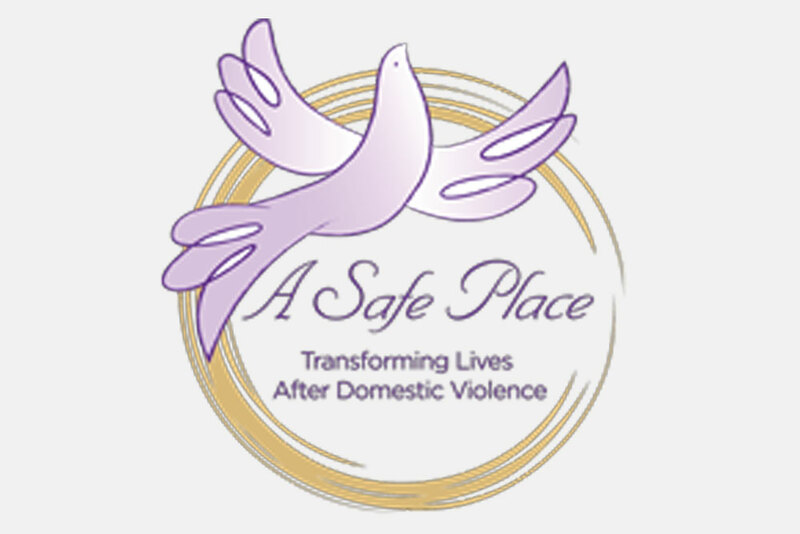 ESME’s Mika Yamamoto interviewed Pat Davenport, the CEO and executive director of A Safe Place, the sole provider of services exclusively addressing domestic violence in and around Lake County, Illinois, with more than 10 locations, including Lake Forest/Lake Bluff, Highland Park, Lake Zurich, Gurnee, and Mundelein. Through a comprehensive program, it transforms the lives of domestic violence survivors, prevents future abuse by addressing its root cause through abuser-intervention programs, and educates the community about domestic violence and how we can all be involved in its end. Q: Let’s say I’m thinking of leaving an abusive relationship. What’s my first step? A: The first courageous step is for you to pick up the phone and call our hotline. Q: What hotline do I call? A: I recommend calling a shelter hotline directly. A national hotline will just give you a shelter number, and by then, you might become discouraged because it took you so much courage to call in the first place. Q: How do I find your number? How do I even know that you exist? Q: What happens when I call your hotline? A: When you call our hotline, you will talk to one of our intake specialists. They are all crisis-intervention experts who have a master’s in social work and received our 100-hour training. They will listen to your situation. If you have made the decision to leave, then we look at you coming here. If we don’t have space, then we start looking for you to go somewhere else. Q: What if I’m not ready to leave? A: If you decide to stay, then we do safety planning. In abuse, there is a cycle. There’s the honeymoon stage, the reconciliation stage . . . and little by little, things start to deteriorate until there’s another explosion. A safety plan can be as simple as knowing to leave the kitchen when you feel an explosion is about to happen. There are too many things that can be used as a weapon in the kitchen. The same goes for the bathroom. You could be pushed and land in the tub—there’s also usually only one exit. If you are sleeping at night, try to keep your phone with you under your pillow. Try to find out how to hide your ID, too, so when you are ready to leave, you can get out of there. An exit strategy could also be talking to your neighbors ahead of time and having a code to signify that you may be in danger. For example, you will turn the porch light on that never gets used. That would be a sign to call the police. Q: So if I call your hotline and then decide I’m not ready to leave, no one will force me? A: No one can force you. It has to be on your terms because nobody knows the relationship like you. Sometimes it takes someone many calls before they make the decision to leave. We just want you to keep calling us so we can keep helping you. Q: What if it’s not me but my family member who is in a dangerous relationship? A: You can call a hotline to get information about the programs. We take many calls from family members. Through the website I get a lot of people asking me what services we can offer and what the process is. Knowing about the process will make you feel more comfortable about recommending your relative to call our hotline. Ultimately, though, your family member will have to call us directly in order for her to come to our shelter. Q: What if my family member doesn’t want to go to a shelter and wants to come to my place instead? A: Again, calling the hotline does not mean that she has to commit to coming to our shelter, so you should encourage her to call us. Make sure to tell her that a shelter is actually a much safer place for her; the first place her abuser is going to look for her is at the home of someone she knows. This puts you in danger, too. A woman’s chances of dying at the hands of her abuser increase nine times when she leaves the relationship because the perpetrator feels like he’s losing control. He thinks, I can no longer manipulate her, I can no longer control her. If I can’t have her, then nobody else will. It’s that thought process that increases the chances of a woman dying. If she goes through A Safe Place program, her chances of being killed are greatly diminished. Also, we can provide her with a comprehensive program that will allow her to transform her life. Q: What does your comprehensive program look like? A: Think of it like a safety net. We use the analogy of a hospital. We have the emergency shelter when the crisis is happening. It is comparable to an emergency room. Once your immediate safety is secured, we go down to acute care or to the intensive-care unit—leveling down in the days that you are here at the shelter. Q: I always imagined shelters to look like prison. A: You are sitting in ours right now. What do you think? Q: It is beautiful and cozy! How many people can you accommodate here? A: We have 35 beds, using bunk beds to maximize space. Most families get their own space unless we have single women and we are running out of space. Q: What other services do you offer at this location? A: The shelter is about transforming your life from one of domestic violence; it is the support system. We offer crisis counseling to begin with. In addition, we focus on how we can help you find permanent housing and jobs. You can stay for up to 90 days. Q: What happens after the 90 days? A: From there, we move on to the healing and building process. This is when you might move into our transitional or permanent housing. Think of this as outpatient services. Q: I saw your permanent housing, too! It’s impressive! A: Isn’t it? We maintain it very well, too. When people move out, we make sure everything is repaired. Q: How much space do you have at this location? A: There are 40 apartments in Zion; 37 are permanent housing, and three are transitional. We usually target the transitional housing for undocumented women because it’s so hard for them to find housing. They need to have so many things they don’t have in order to get housing—including Social Security numbers. They often would have no other option but to be homeless. Q: What other services do you offer at the Zion location? A: There is a case manager on-site who helps connect residents with resources. As far as counseling is concerned, we move out of crisis counseling into the healing and building counseling. We also offer art therapy for the children, which is extremely effective. These services are available for the greater community, too. Q: How long does the healing and building stage usually last? A: The healing and building stage can last anywhere from six months to a year. A: After that, you go into postseparation services. Again, your chances of dying at the hands of your abuser increase nine times when you leave the relationship. That is why postseparation services are critical. Toward that end, we have plenary orders of protections, which are good for two years and can be renewed. We offer that at the courthouse. Q: What else counts as postseparation services? A: One of the most critical services we provide is the visitation center. Here, we do the supervised visits with the noncustodial parent. This is also a safe place for parents do drop-off and pickup. We also provide other services families may need longer term, for example, longer-term counseling: group, individual, family, and art therapy. We treat the whole family versus just moms or just children. We work with all of them because domestic violence hurts everyone in the family. Q: Do you provide any intervention services? A: We are probably one of the few in this state that provides abuser services. We have a whole separate location where abusers come once a week for six months for an hour and half, and we use an evidence-based approach to treat them. The majority of them are mandated—they don’t come voluntarily. Q: What is the value of treating abusers? A: Abuser services help us know the survivor is safe. During the six months that the abuser is supposed to show up for mandated services, we know where he is. If he doesn’t show up, we can let the court know. Otherwise, the abusers can go off the radar. Q: Any successful comprehensive program would have a preventive piece, so I image A Safe Place does work toward that end. What is it? A: As a prevention piece, we work with middle schools and high schools, teaching students about healthy relationships. We talk about what it looks like to be in an unhealthy relationship. We do that throughout all the schools in Lake County, but we also do it with professionals. That’s the whole cycle. Q: Of your clients, 94% do not go back to their abusers. In light of the fact that it takes a woman an average of seven times to leave an abuser (which comes out to about a less than 12% success rate), your program is extremely successful. How do you explain this? A: It has a lot to do with the comprehensive services. A lot of domestic violence agencies may only have a shelter and not the series of services that we provide, which is so crucial. We have been around for 40 years, and we’ve been able to build ourselves up. We know that being a domestic violence survivor is all about rebuilding your life from scratch, and you can’t do that in 90 days. Q: Yet, didn’t the state of Illinois try to eliminate the budget for domestic violence? A: Domestic violence services were the only ones left out of Illinois’ stopgap budget. Ultimately, we were able to put pressure on legislators and managed to receive what was originally budgeted, but it made us realize that we do not want to be dependent on the state. If we hadn’t gotten the funding, we would have had to cut our services in half. Just thinking of that makes me sick. We’ve redoubled our fund-raising efforts because of this. For example, last year, we added a fourth fundraiser called Wine, Women & Shoes—a fundraiser targeted toward women. It was a blast, and we made more than $150,000. Fundraisers are also a great way to share the story. We can talk about what actually happens in the shelter as opposed to what people think happens at the shelter. The shelter is not the destination; it’s the gateway to self-sufficiency. It’s part of the journey. There are times when we need help. We can’t do it ourselves. In an abusive relationship, they scrape away your power, you are made to believe that you are worth nothing, you can’t do anything right. The shelter helps you recover that so you can live your life. Q: What do you have to say about the fact that one in three women will experience abuse by an intimate partner in her lifetime? A: One out of every three women and one out of every six men. That statistic changed the way I see the world. Whenever I am in a big room, shopping somewhere, or walking somewhere, I notice the people and realize what that means. Q: What is something you see that subverts the stereotype of a domestic violence victim? A: Domestic violence impacts everyone, and it does not matter where you come from. What we are seeing is that women from the middle/upper class don’t realize it’s happening to them because they are not seeing the bruises. Even though some couples have assets and look like they are doing well on paper—guess what? Everything is in his name—the credit cards, the checking accounts, the house, the cars . . . and you are literally on the street. How are you going to find a house, how are you going to find a job? Abusers count on that. They count on you not being able to support yourself so you will stay. The last thing you want is for your children to be experiencing homelessness. And in our weather, it’s not even like you can live outside! Putting your children in that kind of situation is not something you want to do. I once got a call from the police department. They said, “Pat, you have to talk to her. If she doesn’t leave, he’s going to kill her.” When the woman got on the phone with me, she says, “He’s just having a bad day; I provoked him; it’s all my fault. He’s not hurting me.” I said, “He tried to run you over with his car.” She answered, “But he did not. He was just trying to scare me. He has never laid a hand on me. He has never hurt me.” It’s possible to be in an abusive relationship and not realize it. If you are in an abusive relationship, please reach out for help. Call 1-800-799-7233 or look up the domestic violence shelter in your town or city.